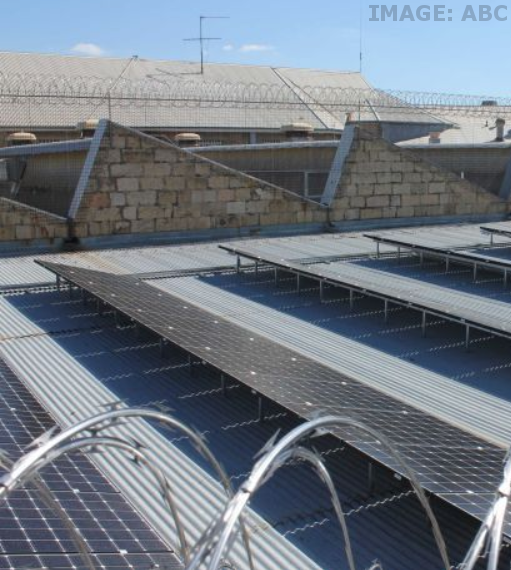 Indigo Power has held a symbolic switching on of the community-owned solar power system at the Old Beechworth Gaol in Beechworth. The project allows site owners to access clean energy at a reduced rate without having to buy or maintain infrastructure. Panels atop at the Old Beechworth Gaol were paid for by philanthropists and community members through investments in Indigo Power. The former prison will sell the energy generated by the panels back to the jail at a reduced rate while recovering the cost of the fit-out for its investors. After about 10 years, Indigo Power will give the system back to the gaol, giving it free clean energy for the remainder of the system's life, typically 25 years. The 89-panel, 30-kilowatt solar system will deliver roughly 55 per cent of the site's energy needs.